Now, at first. This it totally unsupported by VMware or Dell, even if the firmware I’m flashing the card with is from Dell’s website. To tell you the whole story you should read My VSAN Journey and understand how the setup in my lab is built and why I’m doing this. I’m basically trying to run a VSAN cluster on totally unsupported hardware (like a lots of folks with homelabs). The only component I used to have my VSAN working was the famous Dell Perc H310. BUT this storage controller which at origin was on the HCL was recently pulled out by VMware because of its low queue depth. 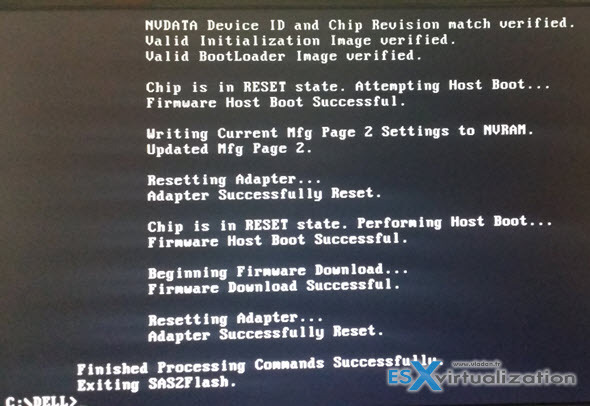 How-to Flash Dell Perc H310 with IT Firmware is today’s post which will walks you through the firmware upgrade (or rather wipe first > upgrade second). IT Firmware – What’s that? There are IR firmware and IT firmware. The difference is that IR firmware can do RAIDs and IT firmware can’t, but has greater performance. it’s best for use for storage platforms OpenSolaris, Linux, or Windows Home Server to manage software RAID and redundancy. VMware vSphere 5.5 did recognized the card as Dell’s card (after the flash). Here is a shot before and after…. Create a folder. I called mine Dell. Then I went to Dell’s website to get the firmware. I took the one for SAS 6GbS…. In reality, there is another zip package (with the exactly original firmware inside) and which has all the necessary tools in it (including the exact firmware file – the 6gbpsas.fw. The package can be downloaded from this link on mediafire: LSI-9211-8i.zip tools (link). Updated the above statement as one of our readers reported that wasn’t correct. 03. At this time – reboot the host and boot back via the USB into DOS. 05. (Optional) If you want to put the BIOS back in place you can, but you don’t have to if you’re using the card just for the passthrough. During the boot you won’t be able to hit CTRL + C and dig into details, but that’s all. As being said at the beginning, do at your own risk. 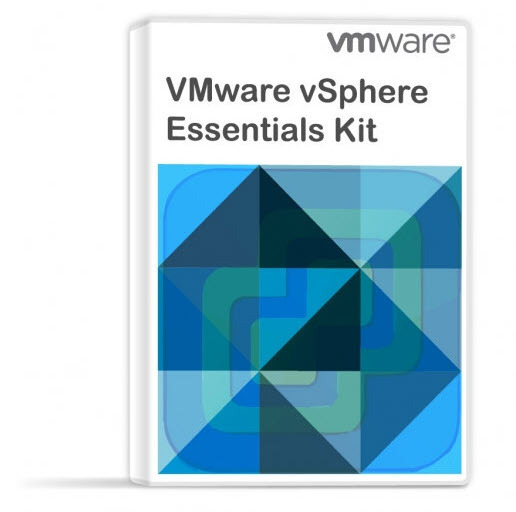 There is no official support for it from VMware or Dell. But with few precautions and with few hours of documentation through blogs and forums, it’s quite easy at the end. The H310 are quite cheap on eBay and some of those guides are also flashing H200 cards as well which is a card with the same LSI 2008 hardware chip apparently. I got an error message saying that “Firmware Host Boot Unsuccessful” and then the program has exited when I attempted to upgrade the firmware…. 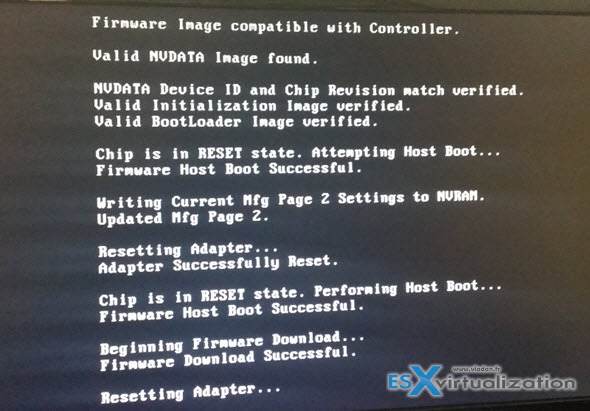 Firmware Image compatible with Controller.Valid NVDATA Image found. Checking for compatible NVData image…NVData Device ID and Chip Revision match verified. Firmware Host Boot Successful.Mfg Page 2 Mismatch Detected. ERROR: failed to initialize PAL Exiting. The boot time is back to normal and I have disabled the card via ctrl+c at bios prompt as I’m not booting on any of those disks. 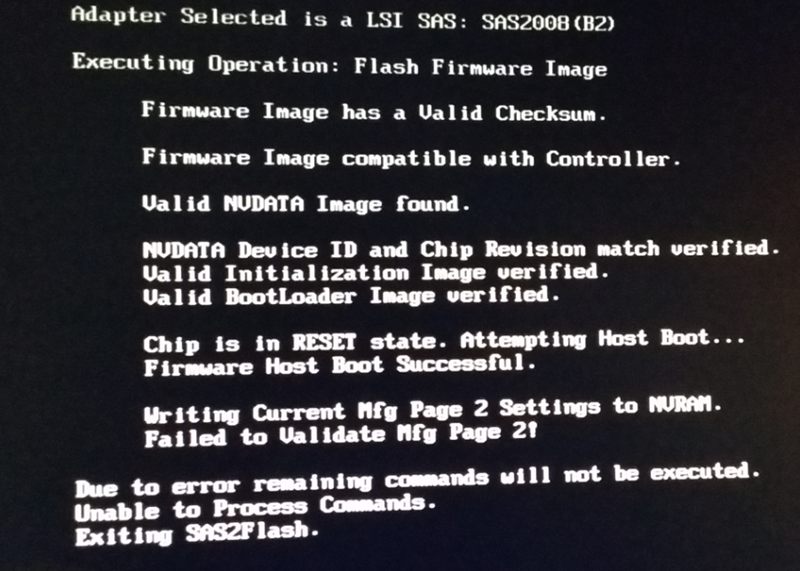 When I wiped the firmware and rebooted host, it comes up saying “Invalid PCIe card found in the Internal Storage slot System halted!” and just hangs there. I guess this is due to the SAS card not detected as it does not have any config on this? Do you have any suggestion on fixing this? Ha. That’s odd. Haven’t had that issue at all. Pretty sure my steps has worked as I’ve done those 3 times (I have 3 Perc 310 cards). When the original firmware got wiped and host got rebooted (R720), it didn’t even get to the memory/idrac test stage. It basically error’ed out in 10 seconds, and server halted. I’m going to order another H310 from ebay for a test, would you think it would be worth trying to flash new firmware after the erase, without reboot? If you have doubts, just check around the different forums and blogs (there is quite a few). Most of them are much of the same like what I did and documented here. If you find a problem don’t hesitate to say what was wrong (card, slot, server, procedure, the technician… -:)… We’re all here to share. 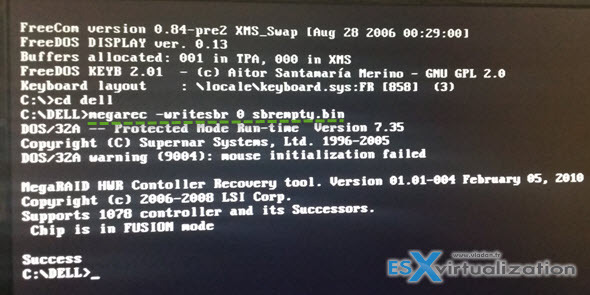 There are a few other OEM LSI SAS2008 models out there including the IBM M1015 and the Intel SASUC8I which you can use the same BIOS. I have a production Dell T420 with the PERC H310. Can I run this firmware update without losing my RAID settings etc? Or is there anyway to force the H310 to use the cache of the physical disks? Atleast, that might improve performance. If you flash it with IT firmware, there is no more RAID. So don’t do it if you want to keep RAID as I flashed it only towards the possibility to pass through my disks directly to the ESXi hypervisor. Now it’s my VSAN which do the magic and protects the whole cluster against failure. Ah yes. I meant the IR firmware referenced in the article which has RAID support. Thanks! Fahd, did you have success with flashing the R420’s H310 controller? I too have a similar R420 server and I’m curious if it will work or not. I also want to know if it is possible to preserve the original RAID firmware that came with the PERC H310 in case things go sideways with the ability to restore. Not tested with R420 cause I don’t have that one in stocks. The original firmware shall be available on the manufacturer’s website… but again, haven’t tested that once flashed with the IT firmware… -:). Glad you took a picture! Thankyou! I ordered my second perc h310 and use it for zfs! Hello, has any one tried this with the H330 HBA? Hi, a small word of caution: If you try and flash a H310 Mini adaptor (like the one in a PowerEdge R320) to the IT firmware, you will effectively brink your storage. After performing the wipes in the beginning with megarec, sas2flsh still did not recognise the controller, but so far so good (or so I thought). After rebooting the server it stalled on an invalid controller in the internal storage slot and just said “System halted” and never completed POST. I’ve had to RMA the controller to get access to my disks again..
Did the same on my R320 as well. Another forum mentioned they are PCI ID locked for the H310 mini with Dell IR firmware. It is situated in my Dell Poweredge r720xd. I started to flash and now i ran into a problem, which i can not bypass, and i hope some more experienced flashers here can help me out. Any ideas how to solve this? I read something about placing it in another slot, but because it’s not a default card, i am unable to place it into another slot. Exact same issue on my R320, with same H310. I ended up using DOS for everything. I tried to flash my new H310 with IT firmware using this tutorial, but i failed. “megarec -writesbr 0 sbrempty.bin” and “megarec -cleanflash 0” run successfully. 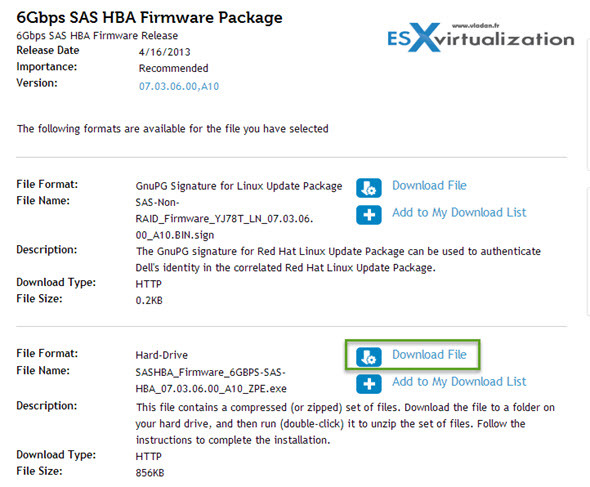 After reboot “sas2flsh -o -f 6gbpsas.fw” failed with error message “Firmware Download Failed!”. I tried to flash the card in a HP DL380G7 and in a HP DL380G5 without success. Do you have any suggestion what is wrong here? I put the card in a consumer UEFI motherboard and it worked. The zip download (http://www45.zippyshare.com/v/51016808/file.html) has everything you need to get to the P16 version of the firmware and from there I just went and grabbed the P20 version from the Avago website (http://www.avagotech.com/products/server-storage/host-bus-adapters/sas-9211-8i#downloads) and grabbed the latest firmware. There are batch files in the zip download that automate the process, but if you edit the batch files, you can see exactly what is happening and it really does work. PS: After this update, the card is not detected as a Dell card but an LSI card. Would such a procedure work to flash a PERC 730P to an LSI 9361-8i? I have issues with that the disks in my RAID doesn’t show in Vsphere 6.0U2 with Dell PERC H310. My card also show us as MegaRAID SAS SKINNY Controller, but this post got me thinking – do you see your disks in VMware, and can you detect S.M.A.R.T errors? omg, thank you so much for this guide! The Dell Part No. for my PERC H310 is 3P0R3. I have decided to return the card and try my luck with another PERC H310 card that has a different part no. (HV52W). Stupid question, but how can I roll back to the original Firmware (IR)? Haven’t tested that, but I imagine that you’ll have to download it first > flash > done… ? To clarify, unless you plan on running RAID on these H310’s, one could effectively stop once they issue this command, right? Since the primary intent here was VSAN, this will effectively make all disks connected passed through to ESXi as JBOD, since the controller’s BIOS wasn’t applied right? The first part of the tutorial stopped at applying the 6gpbsas.fw, but then at the very end in the recap section, the steps keep going all the way to loading the H310’s BIOS back on. 5. If that does not help will try to put controller on other server with EUFI boot. Will let you know if i’m able to bring it back from the dead. Is this reflashing to make the 310 card pretty much a JBOD Sata controller. I’m looking to use it on my UnRAID NAS server. I’ve brick a H310-mini which on DELL R620 server. Due to physical changes in the card (compared to it’s PCIe version) – the instructions on this page WILL NOT WORK on any H310 MINI card. DO NOT run it on your Dell R720xd or else your H310 will be dead. Your statement “This command wipes all except the hardware SAS address unique for each card…” appears to be incorrect. I now have two cards with no SAS address and no stickers on the cards. Oh, that’s strange as it did not happen during my tests. I corrected the post based on your experience. Sorry about that. I did what you said (minus the BIOS boot option) and it flashed fine and I can see my Samsung 850 SSD, but for some reason I only get 3Gbps. How can I get it up to 6Gbps and the higher 600 queue depth you state? Im running CentOS 6 KVM. I’m pretty sure that the 3Gbps is the protocol limitation of SATA. Not the adapter’s limitation. Whethere for the queue depth, I did the test during the time of writing, (several years back). I’m unsure now with newer BIOS/firmware releases. 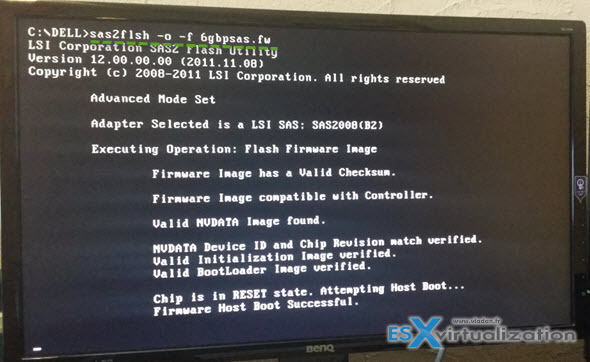 Hi, I tried the steps and when I use “sas2flsh -o -f 6gbpsas.fw” I get an error: failed to initialize PAL. Exiting Program. I even tried re-erasing the board and that worked, so I still have access to the chip. It’s only that I can’t flash the IT fw. Any ideas? Hi, thanks so much for the guide. Ive successfully flashed the h310 to IR firmware as per guide. However, disks are now not recognized in esxi 6.0 update 3b. It even took a long time for esxi mpt2sas module to load. Is it because my dell t620 with the Avago bios (mptsas.rom) not communicating with 16 bay 2.5″ backplane? The avago bios sees the drives during cold boot powerup, but during warm boot, its stuck at avago bios trying to see the drives. I even tried to sas2flsh -o -b h310.rom and the newer dell bios FW3416A.rom but it spits an invalid header. Hope someone can shed some light here. If its the backplane thats causing the problem, my other option is to remove/bypass the backplane altogether and buy mini sas 8087 to 8482/ 8087 Sata cables to connect directly to the sata/sas drives. Can you please add 2118ir.bin also to the archive ? Been running 6.0u3 without patches for a while. 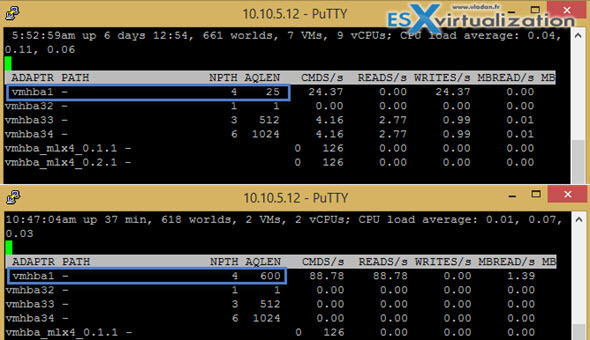 Then I finally updated with recent patches and have the same problem as Adam – disks aren’t recognized in ESXi. I’m just using sas-to-sata cables so not a backplane thing. Seems like a recent update broke functionality with this flashed card. 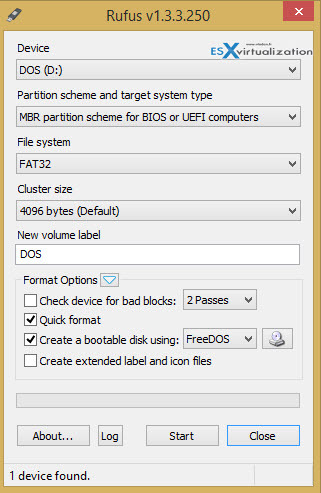 thanks for the detailed guide – do you recommend this even if you’re just using the card as JBOD for standard disk usage (just local disks in windows 10, no VSAN/VM clusters)? Hi friends. I have some problem with ESXi 6.5 host and Dell HBA 6Gbit adapter. ESXi host see only one disk, esxcli storage core device list show only boot flash and one disk. Centos 7.5 live cd detect all 5 disks. Hi, I’ve done this on both a H200 and a H310, but I’m wondering if you also are seeing that the firmware version is reported as 00.00.00.00 during update (i.e via Dell Update Tool / Dell update bootable ISO / idrac, etc.) and asks for an update (that don’t work). The cards itself works fine, and ESXi sees the card as a “Dell 6Gbps SAS HBA Adapter”. tldr; does your reflashed card(s) show a firmware version of 00.00.00.00?